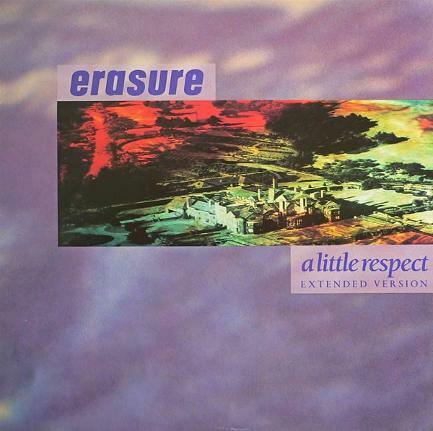 Released in September 1988, "A Little Respect" was one of Erasure's biggest 80s hits, reaching #4 in the UK, #14 in the US and #2 in the US Dance charts. This was the third European single release from the third album The Innocents, and the synth pop duo's tenth single release overall. The single entered the UK singles chart at No.19 on Sept 25th 1988, making it the second highest new entry that week - U2 had the highest new entry at No.3 with "Desire". The single reached a peak position of No.4 for one week on 16th October. Erasure are Andy Bell (vocals) and Vince Clarke (Synths), and they remixed a new version of the song which was re-released as a downloadable single in 2010. The proceeds went to gay and lesbian organisations including the Hetrick-Martin Institute, whose young choir provide extra vocals on the single. In the video, we see Vince trying to break Andy's heart, quite literally, with a hammer! There is also a young boy sat on a forklift - just don't ask me why! The B-side featured the track "Like Zsa Zsa Zsa Gabor". A limited edition 12" was released which included the Big Train Mix of "A Little Respect", plus the Rico Conning Mix of "Like Zsa Zsa Zsa Gabor" and a third track "Love is Colder Than Death". The standard 12" featured the Extended Mix of "A Little Respect", the Mark Freegard Mix of "Like Zsa Zsa Zsa Gabor" and also "Love is Colder Than Death" as the third track. 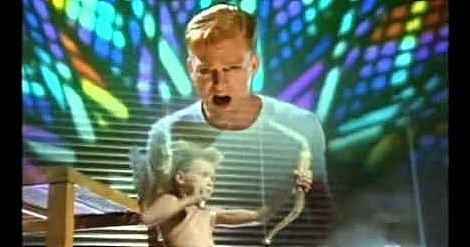 "A Little Respect" is one of Erasure's best-known songs. An acoustic version featured on "The Moon & The Sky Plus" EP which was the tenth track on the CD and was released on December 10th 2001.